Is it that time of year again already? Seems like only yesterday we were recognizing the top games of 2017, but time sure flies when you’re having fun! And if you didn’t have fun playing the whopping 137(!) new adventures that came out in the last calendar year, you’re doing it wrong! The sheer volume of titles is partly why do this every year. With so many to choose from, how can you be sure you’re not missing out on the cream of the crop? 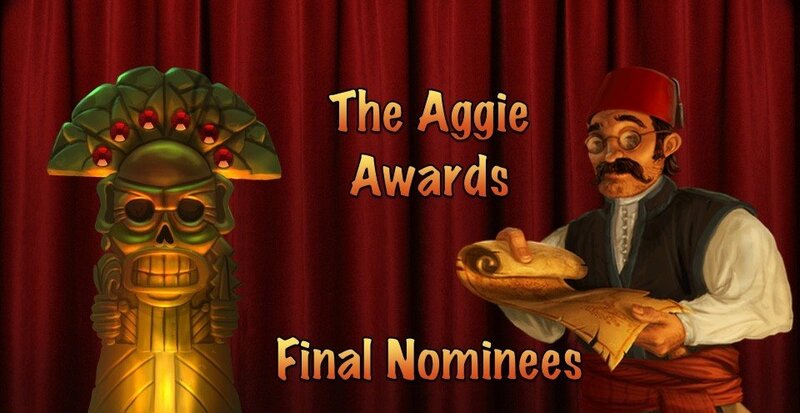 Three words: The Aggie Awards! Once again, “diversity” was the keyword for adventure games in 2018. Not in the “equal representation” sense, but rather in presenting something for gamers of every stripe. Like a little stealth in your spine-tingling horror? You’re covered. Adept at a little platforming between puzzles? Plenty of games to keep you hopping. Hold the puzzles, extra dose of story? Lots of those to go around. Narrative schmarrative, just make my brain hurt? Some of those here too. And yes, there’s even a few – gasp! – good old fashioned point-and-clickers for the diehards among us (you know who you are). The flipside to all that variety is that it’s even harder to pare down the best of the lot. Comparing apples to oranges is actually easier than comparing a co-op multiplayer puzzler to a VR adventure using echolocation, or side-scrolling anime to a “documentary” adventure about a real-life disaster. But choose we must, so argue we did – for the first time ever bringing our generous Patreon contributors into the mix for their input – and have at last made the first painful cuts down to five finalists for each category. Think we’re out to lunch (even more than usual) or managed to get it right for once? Rest assured, you too will have your chance to vote when the readers’ choice poll arrives in just a few days. Remember, of course, that like the games themselves, the Aggies are all for FUN, to celebrate the best and brightest the genre has to offer. There are no losers, only extra acclaim for a job well done. So if you’re not having fun with the process already… you’re doing it wrong! And now, without further ado, our Aggie Award nominee finalists for 2018! This year we have a special treat, as the very talented Ivy Dupler (Lamplight City, Unavowed) plays host to our first ever video presentation! If you can't stand the suspense, simply scroll down to see the written list as well, complete with links to check out the games for yourself. Tune back in February 20-22 for our three-day presentation to find out who won! Okay, we're not really naming names just yet. 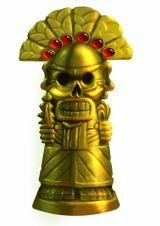 What we can tell you is that, of the many titles that aren't winning a golden Aggie statuette, either because they just fell short or were never actually eligible, a handful of other great games won't be going home empty-handed. With categories like Best Side-Scrollers, Best Comebacks, and Best Kept Secrets, to name just a few, there are plenty more surprises in store! Sorry, adventurers. The only clue you're getting is that the final group will come from a combination of Best Non-Traditional and Best Traditional games, but we're not saying which! (Possibly because we still haven't decided.) Tune back in February 22nd to find out! Hey guys, you have missed The Endless Journey in your list of eligible games. Not so much as forgot as never knew the game existed! Too late for the Aggies, but I’ll definitely look into it, thanks.